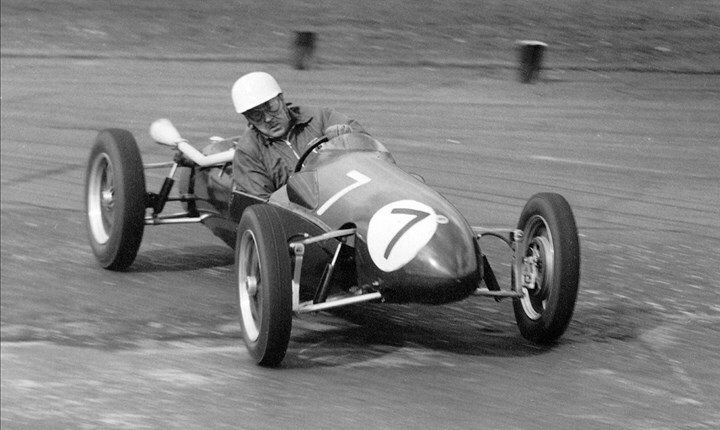 MotorSport Vision Chief Executive Jonathan Palmer has paid tribute to Jim Russell, the renowned racing school pioneer closely associated with Snetterton, who has died at the age of 98. "I was saddened to hear that Jim Russell, founder of the eponymous racing school at Snetterton, passed away recently, just shy of his 99th birthday. The Jim Russell Racing School ran at Snetterton for many years, from its inception as the first institution of its kind in 1956, and is a fondly-remembered part of our Norfolk circuit's history. "First and foremost, Jim was a racer and he won the British Formula 3 championship three times between 1956 and 1958, all whilst laying the foundations for the next generation of drivers at Snetterton, his local circuit. "Jim's school nurtured a number of notable talents over the years, including Emerson Fittipaldi, Derek Bell, and Tiff Needell. I even took to the track with the racing school myself as a 17-year-old. "Jim's influence in the area extended beyond the school too, with brother-in-law Ralph Firman's Van Diemen factory right by the circuit. Jim was a regular Van Diemen customer and played a role in Snetterton's local manufacturer becoming a major force in Formula Ford racing. "I'm certain that Jim's influence and legacy will endure at Snetterton, and my thoughts and condolences go to his family and those who knew him best."